The 4-star Mercure Hotel Riesa Dresden Elbland has 103 air-conditioned rooms with WIFI. Some of the rooms have a water bed. Guests have free use of the sauna. The meeting area holds up to 120 people and has six rooms that can be combined. As the hotel is close to the main train station, traveling by train is easy. It is 43.5 miles (70 km) from Halle-Leipzig Airport. If traveling by car, take the A13 or A14 highway and benefit from free parking at the hotel. Riesa has made a name for itself as a sporting town with large sporting events, and competitive sport is heavily promoted here. The town in Saxony is also known for steel manufacturing and for its industry steeped in tradition. Hotel ini berpartisipasi dalam Planet 21 dan bertindak dalam rangka Keramahan Positif (Positive Hospitality). 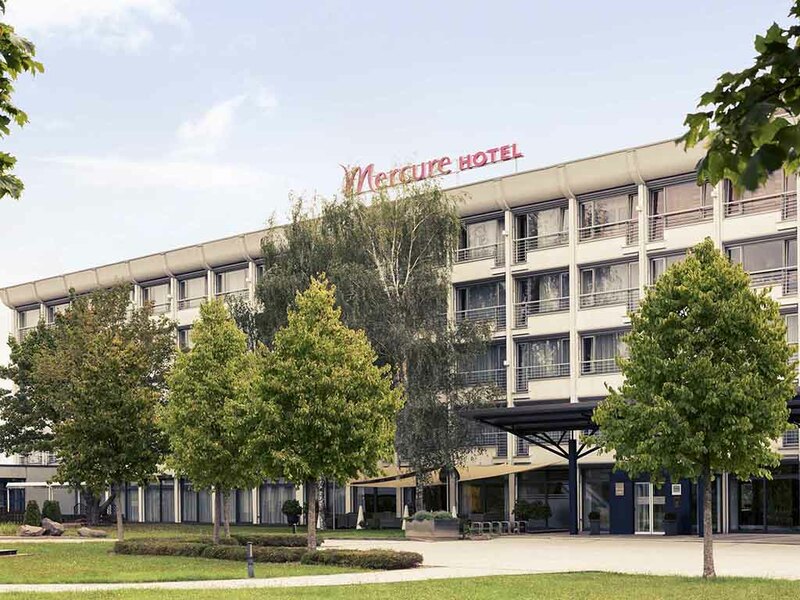 At the 4-star Mercure Hotel Riesa, you can choose between rooms with twin beds, a double bed or a water bed. If you are visiting with your family, we recommend our Family Room. Two children aged up to 12 can stay in their parents' room free of charge. Our spacious Suites have either double beds or a double water bed. Your pet is welcome (at a charge of EUR 8 a night). Dine in the ambiance of a pub-brewery at our cozy "Hammerbräu" restaurant with adjoining terrace where German dishes dominate the menu. Visit us from 5pm - we are open every day except Thursdays. Let us serve you cuisine from South America and specialties from Mexico at "Panama Joe's" between 11.30am and 2pm and from 6pm onward. There is also a beautiful outdoor terrace, where we will be happy to serve you. At our "Event-Bar", we will be happy to serve you a selection of drinks and a range of warm and cold snacks. We are open 24/7 and you can choose to relax on our beautiful terrace if you wish.